Airbase was created by Judy Naaké, the modest beauty guru that bought the now leading tanning product St.Tropez to the UK. 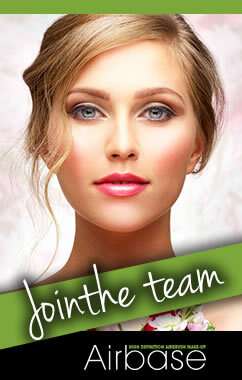 Airbase has since had product development by Oscar-nominated Make-up Artist Anni Buchanan. >Airbase combines a unique mix of ingredients with silicone at the heart of it's formulation. Feeling beautiful and luxurious on the skin, the silicone chosen does not clog your pores, allowing your skin to breathe. It is this that helps give Airbase Make-Up unrivalled durability. Silicone: Silicone is heat-resistant, non-stick and plyable. That means that your Airbase Make-Up application lasts all day and can be 'moved' for a few minutes unlike water based foundations. Any errors are therefore easy to correct after application. Vitamins A and E: Airbase contains Vitamin A, an ingredient that is proven to improve elasticity of the skin and therefore reduce fine lines. It also contains Vitamin E. This is an anti-oxidant that moisturises and repairs helping to deactivate the free radicals that age the skin. When you spray using an airbrush it atomises the product making the particles of make-up tiny. This is why airbrush make-up is used in HD TV and film. The particles in the make-up become much smaller than when it is conventionally applied and therefore less visible. HD TV picks up absolutely every imperfection! There are also hygiene benefits to spraying. When we use a conventional brush or our fingers there is potential to spread bacteria and germs across the face. By spraying Airbase make-up onto the face we can avoid this. Hermione Norris (Cold Feet and Spooks) is a huge fan of Airbase. Airbase is also a favourite of the Girls Aloud make-up artist Liz Martins. 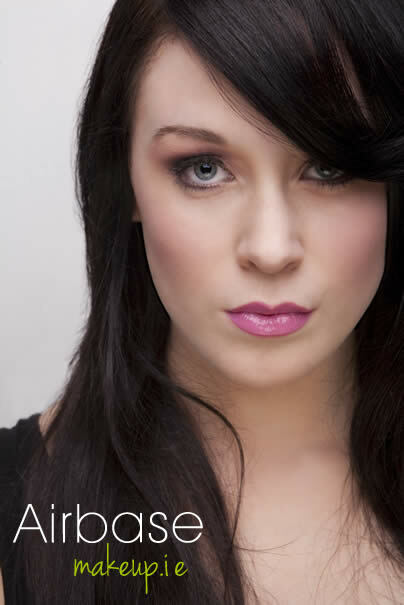 Jemma Kidd Training School, who offer courses in airbrush make-up using Airbase. Not forgetting that ITV and SKY are now regular users of the Airbase product too. Hermoine Norris (Spooks, Cold Feet, Bouquet of Barbed Wire). "Airbase is always in my make-up bag! Easy application and natural finish that stands up to the heat of studio lights"
"I swear by Airbase airbrush make-up, it is amazing! Airbase's quick application, using a light-weight compressor and airbrush gun, makes life a lot easier and the blendable, breathable foundations have real staying power being both water and heat resistant - ideal in the studio, on location or on the dance floor"
Lisa Laudat, Celebrity Make-up Artist. Priscilla Queen of The Desert, Joseph and The Technicolour Dreamcoat, Love Never Dies, Sister Act and London Fashion Week. Jemma Kidd Make-Up School, Illamasqua Training School and Muse Training School. Make-up artists who work with TV productsions like, Loose Women, This Morning, Dancing On Ice, Strictly Come Dancing and X Factor all praise Airbase for it's staying power and durability.